Amana's 5.0 Cu. 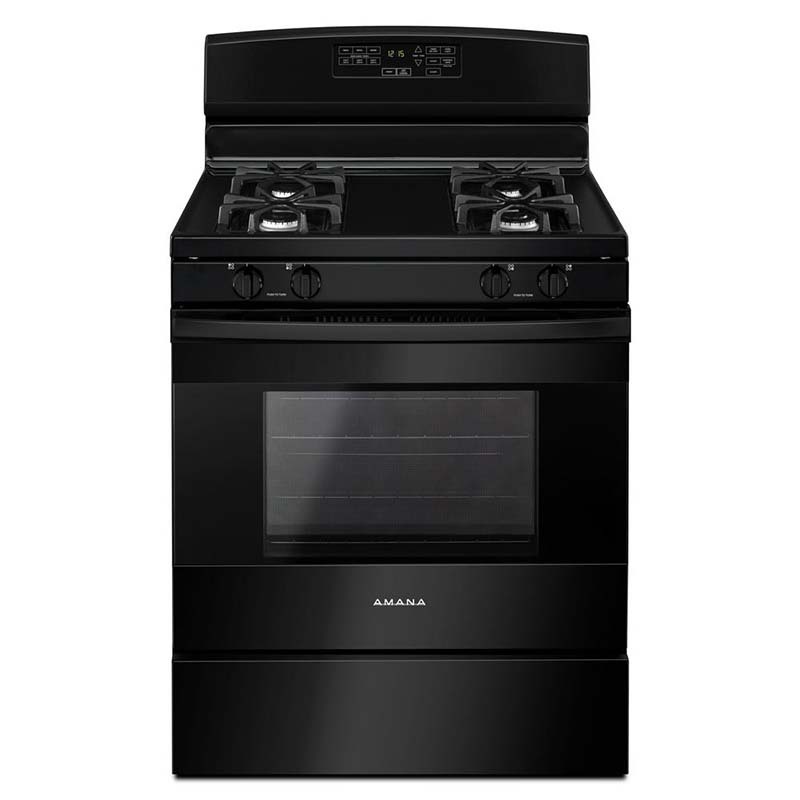 Ft. Black Gas Range is a sleek upgrade to your modern or traditional kitchen. Get dinner done faster with 4 gas burners and 2 roomy oven racks. Baking temp presets allow for easier multitasking in the kitchen, while the oven window lets you keep a close eye on your culinary creations. This model also includes a spacious storage drawer.